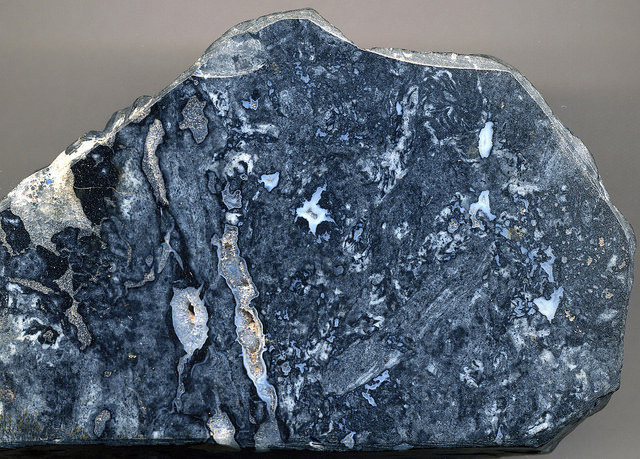 Nellie Blue Ohio Flint from Coshocton County in east-central Ohio); photo by James St. John on Flickr (use permitted with attribution). Used to make jewelry and highly prized by collectors, Ohio flint comes in a variety of color combinations that include red, pink, green, blue, yellow, gray, white, and black. Flint is a type of quartz, a hard and durable mineral. 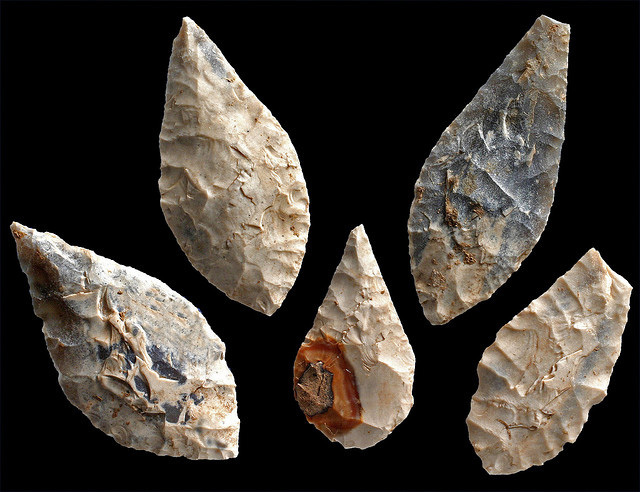 Native Americans used flint to make a wide variety of tools, weapons, and ceremonial pieces such as knives, arrowheads, and pipes. Early European settlers of Ohio also used flint for objects like millstones and rifle flints. Flint Ridge (in Licking and Muskingum Counties) was a major source of flint for Ohio's Native Americans, who traded flint with other tribes across the continent. Archaeologists have discovered artifacts made from Flint Ridge flint as far west as the Rocky Mountains and south to the Gulf of Mexico. Flint arrowheads; photo by Wessex Archaeology on Flickr (noncommercial use permitted with attribution / share alike).